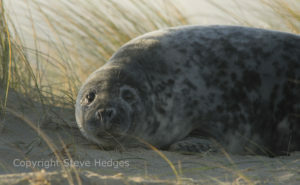 I had a fantastic time last week running a series of seal photography courses in Norfolk. The weather was good all week. 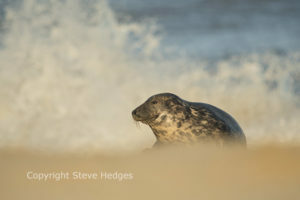 We had sunshine, some cloud; which is fine because soft light can work well, especially when photographing the seal pups and stormy conditions briefly. 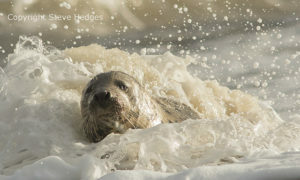 I love the big stormy skies and the big waves you get on the Norfolk coast. 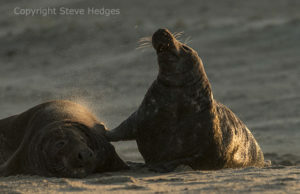 There were so many photo opportunities from young pups basking in the sunshine, huge bull seals chasing off younger rivals, seals lounging around, in or near the surf, with huge waves crashing in the background to male and female seals having a bit of a tussle because the female isn’t ready to mate. I think it’s important to mention that we took great care on every course to make sure we acted in a sensitive way towards all the wildlife we photographed. 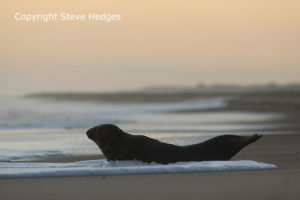 You really need to leave a decent working distance between the photographers and the seals. You must not get too close!! 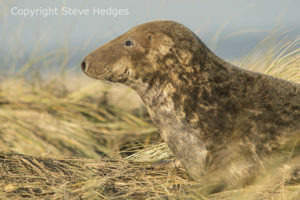 No seals were stressed at all, which of course is the most important thing. 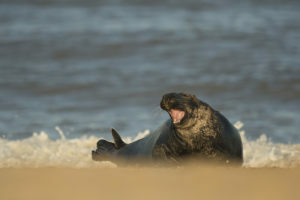 So will I be going back to Norfolk next year, you bet I will! 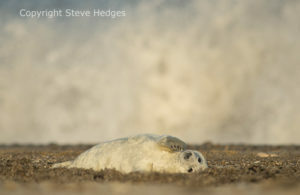 In fact I already have bookings for my 2018 Seal Photography Workshops. Looking forward to them already.